Katie Sayers on the left teaching relaxation through yoga poses. Did you know that members of the Inclusive Leadership Co-operative often facilitate Inclusive Team Building Workshop for work-places and schools? 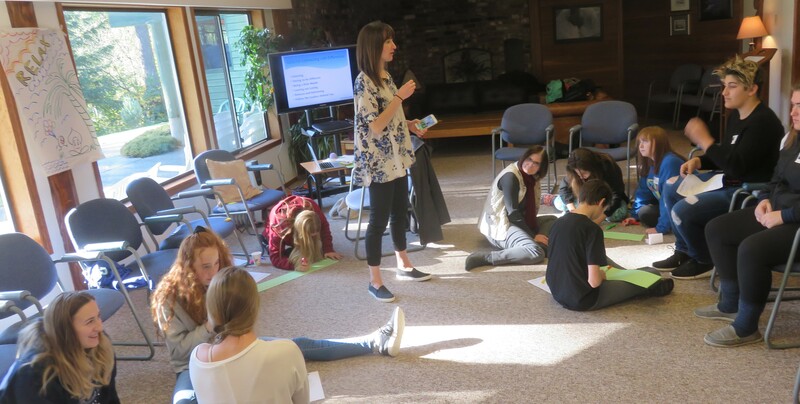 The ILC’s most recent Inclusive Team Building Workshop was with the Cedar Secondary School Student Council, Vancouver Island, BC. I was the lead facilitator for the first time. In facilitating this workshop, I was absolutely blown away by this next generation of youth leaders; their courage to stand up for inclusion, to expand their boundaries and to open their minds to see our diversity as gifts. 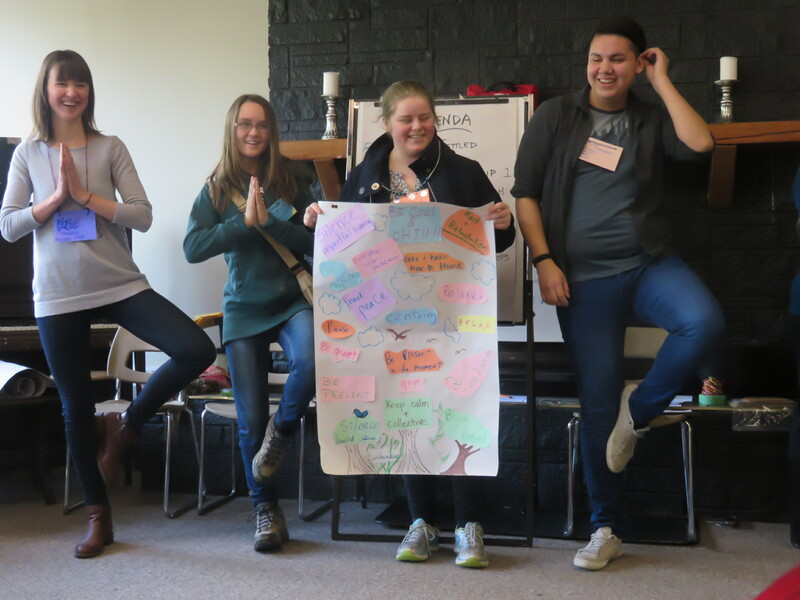 The 4 hour experiential education workshop was held at beautiful, lake-side Bethlehem Retreat Center in Nanaimo BC, Canada. 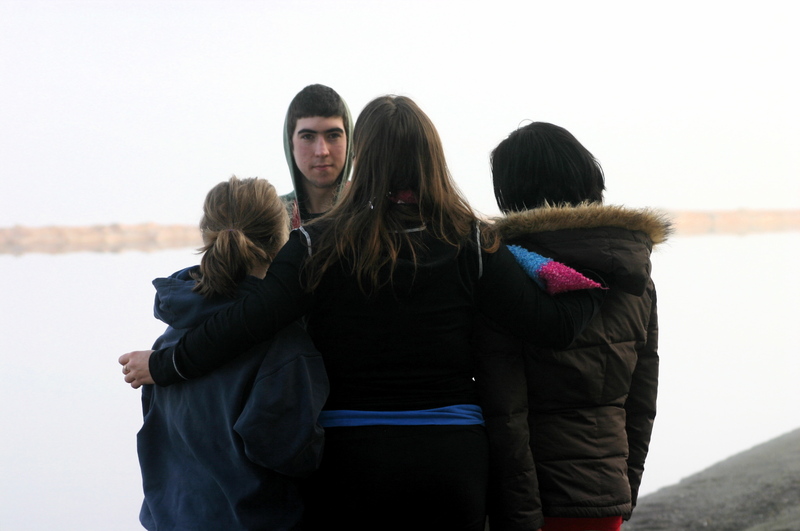 The main goals were addressed through co-operative play, interactive discussions and personal and group reflections. creating action plans for implementing skills for connecting with differences. 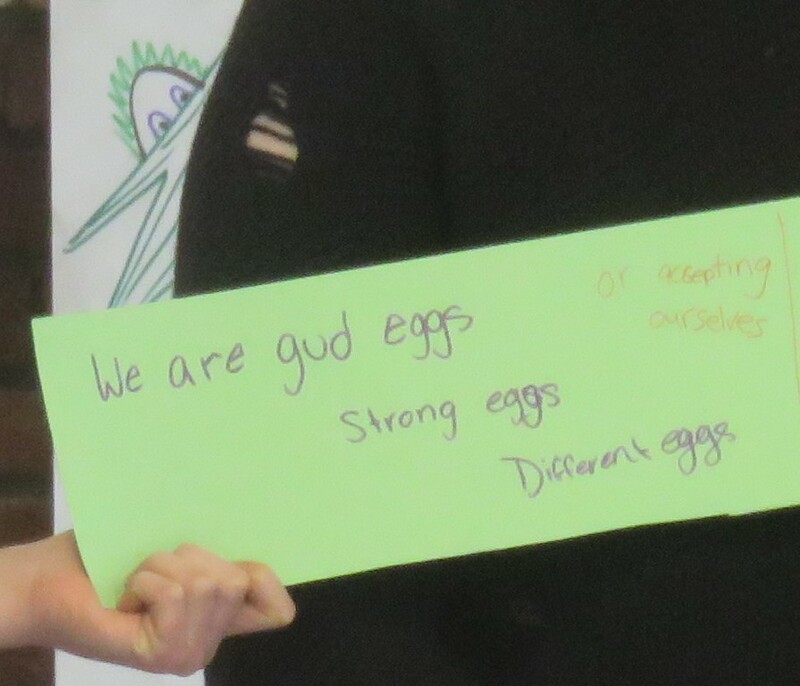 By the end of the workshop, the energy of friendship, joy and teamwork was apparent in the room as the group became even more of a cohesive team and empowered to put there skills to action. With a keen desire to contribute to the betterment of the world and be protagonists for social justice, they are willing to be an example in their own selves for celebrating diversity, inclusion, leadership and service; and to share this example and team effort with each other and the community. There is an amazing potential to transform individuals, teams and classroom settings, we welcome the opportunity to share this workshop with You too! Please Contact the Inclusive Leadership Co-operative: inclusiveleaders@gmail.com for information on bringing this workshop and other Inclusive Team Building and Diversity Education Workshops to your workplace, school,organization, or community setting. We also invite you to check out our our upcoming Cultivating Inclusive Leadership Weekend (Feb 16-18, 2017) or Continuing Education Day, Vancouver Island, BC, Canada, Friday February 17, 2018. Registration will be opening soon as well as for our Discover Your Inclusive Leadership Potential Online Course being offered again in January 2018. This entry was posted in Inclusive Bridge Building, Inclusive Leaders in Action, Inclusive Leadership skills, Networking and tagged diversity education, inclusive team building, team building on November 27, 2017 by lindadianahill.